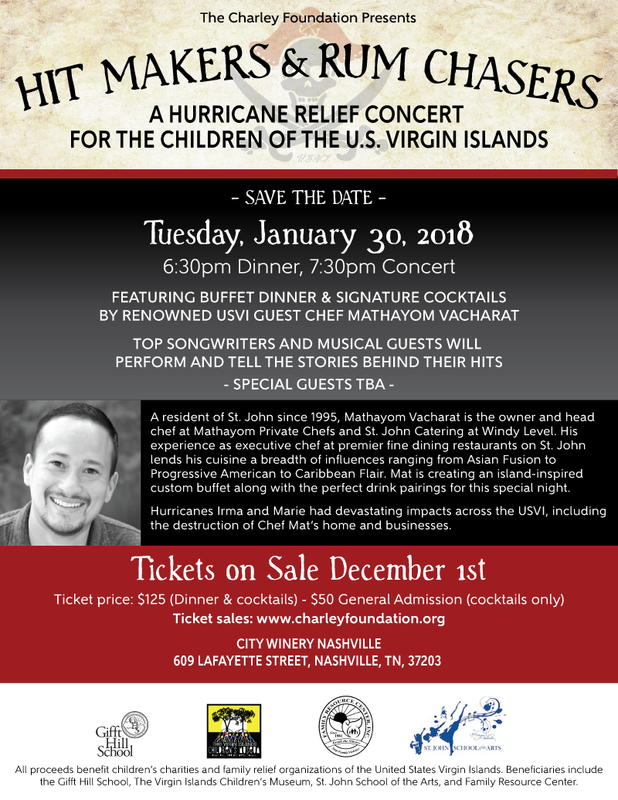 The Charley Foundation presents "Hit Makers & Rum Chasers Hurricane Relief Concert" for the children of the U.S. Virgin Islands. Plan to join us Tuesday, January 30, 2018, at City Winery, Nashville, TN for an evening of great food and entertainment all for a great cause. Check out the events flyer below for full details.